One of Ann Arbor’s finest and most experienced full service Design-Build firms – since 1973 – building superior custom homes and home renovations. With personal attention to your needs & dreams, our experienced design team will focus on building a relationship with you while earning your trust and meeting your building or remodeling goals with the BEST possible design, service, and performance. From Jim Acheson: My passion for architecture started as a young child sitting on the porch of our family’s historic country home. I loved the intricacy of design and latticework on the porch filigree. As I grew, I’d frequently be found doodling architectural ideas on scraps of paper. I later went on to study architecture at the University of Michigan and worked summers for a local builder. After 3 ½ years of college, I had to break from school in order to earn more money to keep going. The builder I worked for taught me carpentry skills, but also was impressed by my eye for design. When that builder saw a commercial opportunity he wanted to pursue, he turned over his customer base in residential work to me, and I started my own company from there (way back in 1973!) I love bringing beautiful architecture and building to the Ann Arbor area. 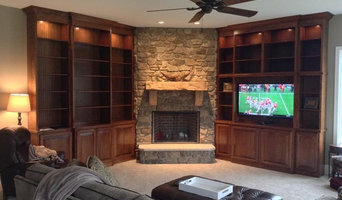 Since 1982, Baker Builders, Inc. has been a trusted builder and remodeler in the Mid-Michigan area. Having built over 250 homes and by holding firm to the values and integrity that helped build the business, Baker Builders, Inc. remains one of the most respected and sought after contractors for clients needing home renovations or building new. General, or construction contractors, are often known as project managers. They oversee the entire remodeling or new home construction project and facilitate all day-to-day tasks that move it toward completion. A Monclova general building contractor will work with your architect to review plan as you build a house and ensure everything is in place before work is started as well as arrange for permits and necessary inspections. While good local home improvement contractors in Monclova will have the skills to handle certain tasks onsite, such as carpentry, he or she is also responsible for hiring subcontractors for the majority of jobs, such as electrical work, painting or plumbing. In addition, the general contractor should be on-site regularly to inspect the progress and resolve issues. Here are some related professionals and vendors to complement the work of general contractors: Architects & Building Designers, Interior Designers & Decorators, Landscape Architects & Landscape Designers, Kitchen & Bath Designers, Specialty Contractors. Home remodeling contractors are a must for successful completion of a renovation. Because of this, it's essential that you do your homework before deciding on the right general contractor in Monclova as you remodel or build a house. Inspect bids carefully. Was it ready when the contractor promised it? Was the bid for building a home unusually high or low? Each of these things can be very telling: A late bid may reflect timing standards, and an off-the-mark bid could be code for a pricey premium or a deliberate underbid to score the remodeling job. You should call references, carefully read reviews and visit completed projects in Monclova, OH to see if they’re what you expect for your job. Once you do secure your local Monclova contractors, read the contract very carefully to be sure everyone is on the same page. 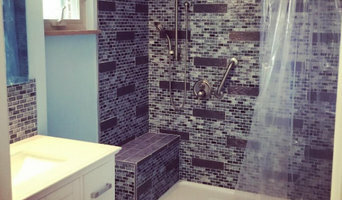 Find a Monclova contractor on Houzz. Narrow your search in the Professionals section of the website to Monclova, OH home contractors. 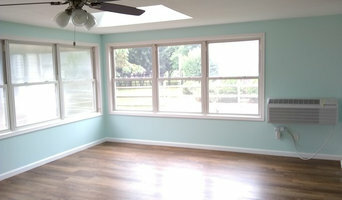 You can also search for photos in Monclova, OH and contact the Monclova general contractor who worked on the project.